KARACHI: The seven K-Electric staffers, arrested on charges of negligence which led to the amputation of an eight-year-old boy’s arms after receiving electric shocks from a high tension wire, were presented before the District Malir judicial magistrate by the Gadap police on Saturday. Police requested the judge for physical remand of the suspects. Although opposed by the defence counsel, the magistrate gave the custody of the accused to the police for four days. Both arms of eight-year-old Muhammad Umar, had to be amputated after a high-tension wire of KE fell on him outside his home on the third day of Eidul Azha. A team of doctors at Civil Hospital, Karachi’s Burns Centre managed to save the child’s life after hours-long efforts. When the wire fell on Umar, he promptly used his other hand to try and remove the wire, but the high voltage quickly gripped his body and caused severe burns on both arms. The accused were arrested during a raid at the power utility’s Gadap Town office over negligence which led to the amputation of eight-year-old Muhammad Umar’s arms. The investigation department in-charge at the SITE Super Highway police station, Chaudhry Nazeer, had told the media that the arrested men include Matter and Installation Commercial Area Deputy Manager Saeed Ahmed, foreman Muhammad Mushtaq, new connection supervisor Mirza Asif Baig, meter checker Asif Iqbal, BOE new connection Saqib Hussain, meter cluster Syed Haider Raza and Assistant Engineer Cluster Syed Muhammad Asim. Nazeer had said the arrested employees were among the technical officers and staff of K-E. However, during Saturday’s proceedings, the KE lawyer said the staffers present in court were all non-technical. The lawyer argued that changing or looking after wires is the responsibility of technical staff. The defence lawyer requested for the employees to be released. 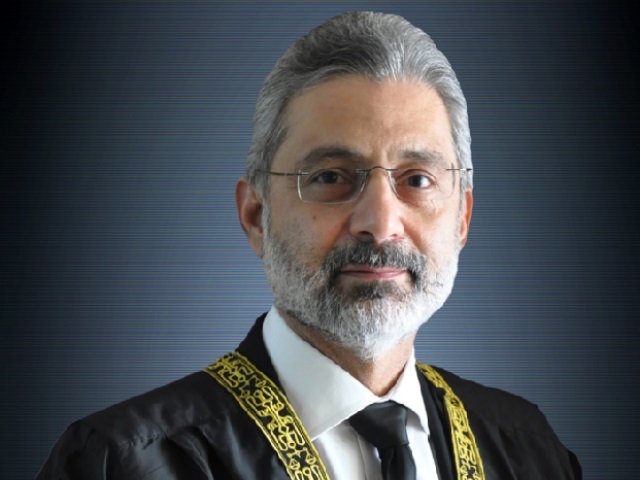 Prosecutor Muhammad Ali Khan raised an objection, disclosing that the accused were on duty at the time of the incident and an eight-year old boy was handicapped for life due to their negligence. The institution providing electricity to the Quaid’s city, KE, is toying with the lives of children, argued Khan. After hearing the arguments, the court handed over the accused to the police on a four-day physical remand for further investigation. 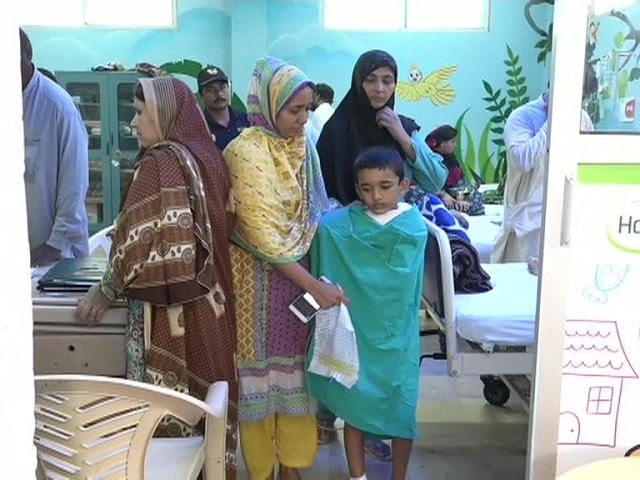 Meanwhile, another similar case of an 11-year-old, Haris, who also lost both arms as a result of receiving electric shocks by high tension wires, surfaced on Friday. Haris has been admitted to Civil hospital for the one last month. 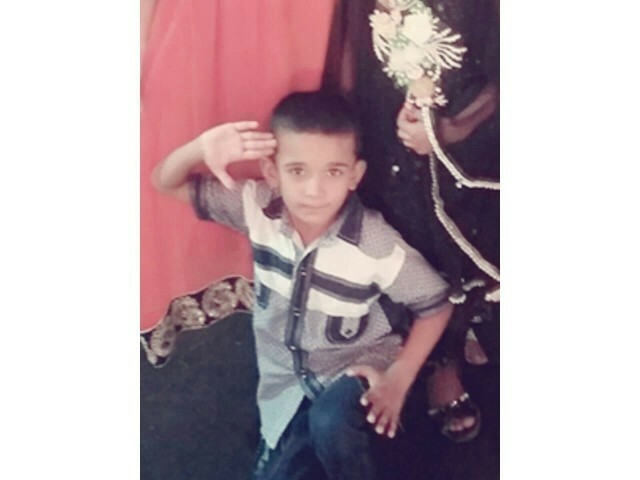 His father, Abdul Qayyum, who is a rickshaw driver, had said that his son was playing on the roof on July 25 when he slipped and got tangled up with the high tension wires. Haris had been shifted to the hospital and the doctors successfully managed to save his life but had to cut off both his arms. He has spent the last month in the Burns Centre under treatment. Qayyum had said he is poor and was clueless on who to contact. He had pleaded for help for his son’s treatment. He said the doctors told him that Haris needed to be shifted to a private hospital for the procedure. Civil hospital’s Dr Taufiq said arms of both boys had to be cut off to save their lives as the infection would’ve spread to the rest of their bodies. Doctors said both children will get prosthetic arms but the procedure is complicated, time consuming and expensive. Meanwhile, residents of Gulshan-e-Maymar, Ahsanabad protested against a prolonged power cut in the area alleging that KE was adopting a vindictive policy due to the arrest of its staffers and the registration of a case against the power utility. The protesters said KE had shut down electricity for no reason. Raising slogans against the KE, the enraged protestors came out on the Super Highway, blocking traffic and burning tyres. The demonstrators said KE was already known to be stubborn and now it had resorted to vindictive activity by shutting down the electricity of Gulshan-e-Maymar, Ahsanabad and its adjoining areas for several hours. They alleged that the reason behind the power cut was the registration of a case against KE’s Gadap Town management and the arrest of its seven employees. The residents of Ahsanabad were being targeted by the KE which is injustice, the demonstrators said. On receiving news of trouble, a team of law enforcers reached the scene to disperse the protesters. SHO Humayun Khan said that one track of the Super Highway was opened for traffic after talks with the protestors. Meanwhile, KE spokesperson claimed that the power utility’s concerned staff in Gadap was being harassed, resulting in difficulties in carrying out repair work of fault.